Athletes and sports persons are seen to have various kinds of supplements for improving power, strength and endurance. Among the various kinds of supplements, caffeine supplementation needs special mention. Combat sports athletes have shown to have great results from intake of caffeine supplements. Lots of studies and research are being done for assessing the results of various kinds of supplementation for combat sports athletes and general athletes as well. Research scholars in USA and Spain have thoroughly browsed through and looked at nine studies which have been published since the year 2010. The main subject of the studies is to assess as how caffeine might affect the overall performance of athletes in different kinds of combat sports. There has been mixed reactions obtained from the studies. In three studies it was detected that no significant changes took place in stamina, physical performance and recovery in combat sports athletes on taking caffeine supplementation. However, in the rest six studies, positive changes were noticed in the athletes with intake of caffeine supplementation. As per the journal of the International Society of Sports Nutrition, it was said that dosages of caffeine of 3-6mg/kg have shown to have increased glycolytic activity during stimulated or real combats. During glycolytic activity, glucose breaks down in the body. The effect is improved performance during the event. There are various kinds of dietary supplements on the offer, but caffeine is seen to have the highest effects when links to performance improvement are established. The components which make caffeine so very effective include sodium bicarbonate, creatine, nitrate and beta-alanine. According to a sports nutrition researcher, using creatine might not be possible in all kinds of supplements as this helps in promoting weight gain. As a result, people who are looking to lose weight and improve performance at the same time will not gain from the same. However, for combat sports athletes the story is little different. They need the same amount of energy as other athletes and sportspersons. But their calorie intake can be slightly adjusted so that they can maintain their weight class. 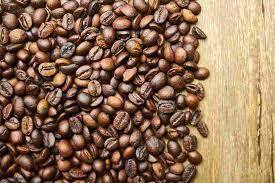 Caffeine plays a crucial role here as this component increases stamina and strength and boosts performance, but does not lead to weight gain in any way. Databases of leading sports nutrition companies were searched for various articles which were published during years 2010-2018. Researchers found studies in different languages on random trials with a control group. Placebo and caffeine supplements were administered to large numbers of combat sports athletes. 1053 studies were identified and they were narrowed to nine studies in total depending upon the quality and relevance of the studies. When the nine studies were combined, there were total of 109 participants. There were 34 judo athletes, 33 taekwondo athletes and 42 Brazilian ju-jitsu athletes. Caffeine dosages which were administered were varied ranging from 3mg/kg to 6 mg/kg before exercise testing. It was seen that athletes who took caffeine supplementation experienced better hand grip strength, better kick reaction speed and maximum bench press reps. Dosage of 3mg/kg was the best of the lot. Taking higher dosage or prolonged intake of the supplement might lead to sleep alterations, which might affect performance during the sports event and also reduce endurance. Such supplementation is best during the training phase. On visiting a departmental store or a supermarket, you will be flooded by options for various kinds of sports supplements. Sita Impex is a private label manufacturer for various kinds of supplements, including sports supplements and energy drinks. The manufacturer excels in making the best quality supplements in the form of drinks, shots, drops, powders and capsules. Best quality raw materials are used in the making of the supplements with expert formulation assistance. The products are completely safe and absolutely free from side effects.